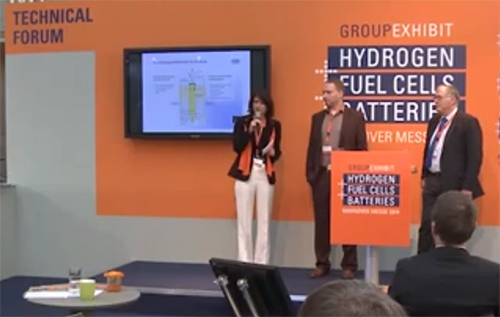 This year HySafe was again an exhibitor at the Hannover Fair as part of the Group Exhibit “Hydrogen + Fuel Cells + Batteries” from April 7 to 11. This Group Exhibit was a jubilee – it was the 20th time. What had started in 1995 with a dozen exhibitors from one country on less than 150 m² has grown to a major event with 150 exhibitors from 25 countries on 5000 m². 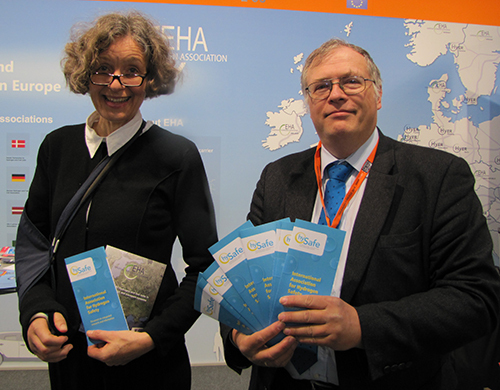 HySafe was an exhibitor togehter with EHA, the European Hydrogen Association. The demand for information was high, only rather little of the information papers which had been brought to the fair had to be taken back again. Very nice post. I simply stumbled upon your blog and wanted to mention that I’ve really enjoyed browsing your weblog posts. After all I will be subscribing in your feed and I am hoping you write once more very soon!